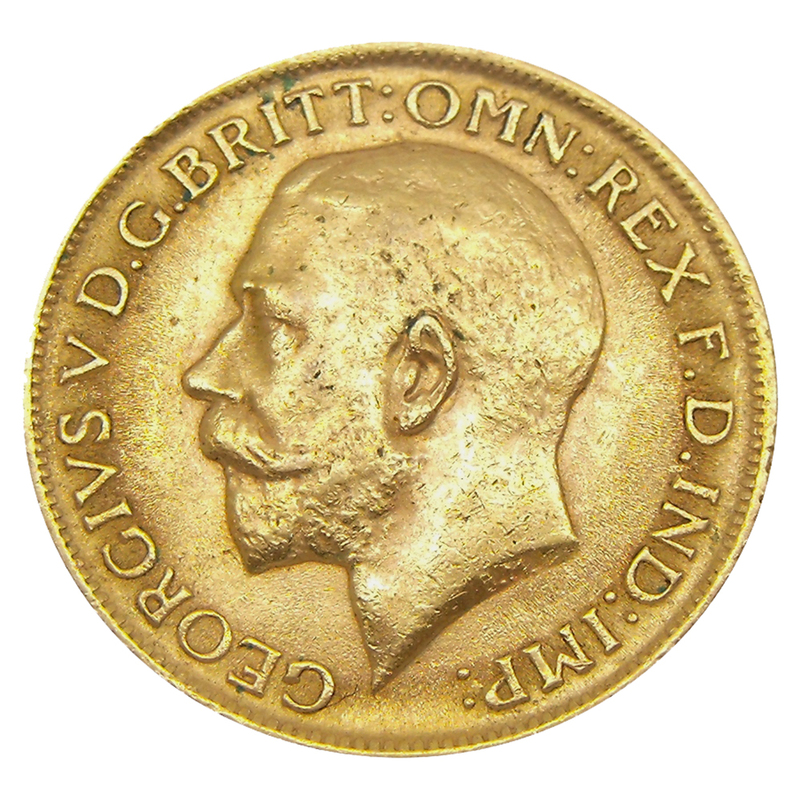 Although King George V reigned up until 1936, Sovereigns featuring his portrait were only produced up until 1932. The portrait is of an uncrowned King and he faces to the left on these coins. Coins are stuck in medal alignment. 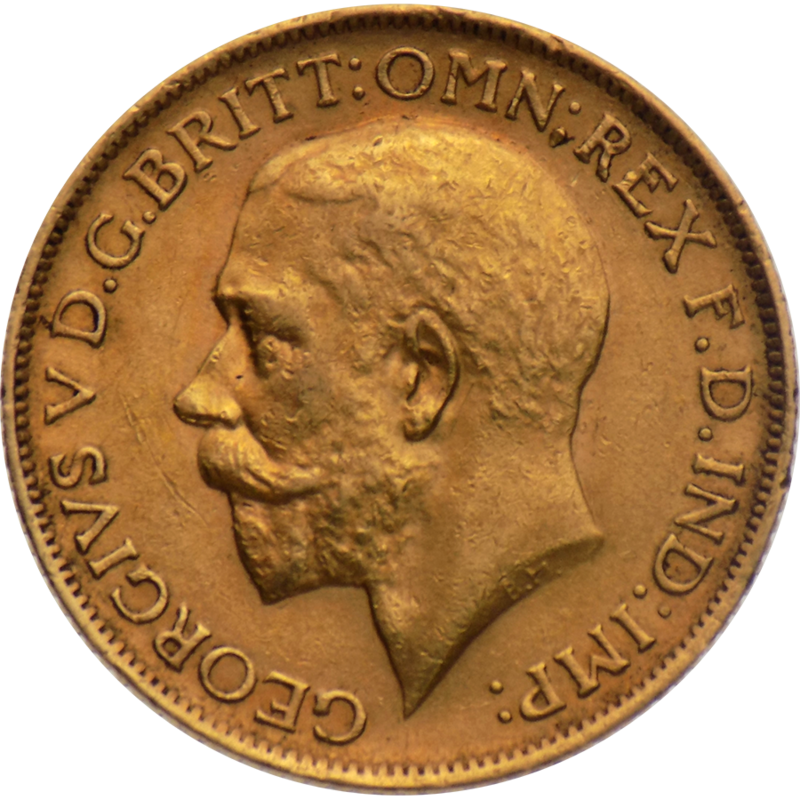 During his reign a further two mint branches were opened in India (1918) and South Africa (1923). 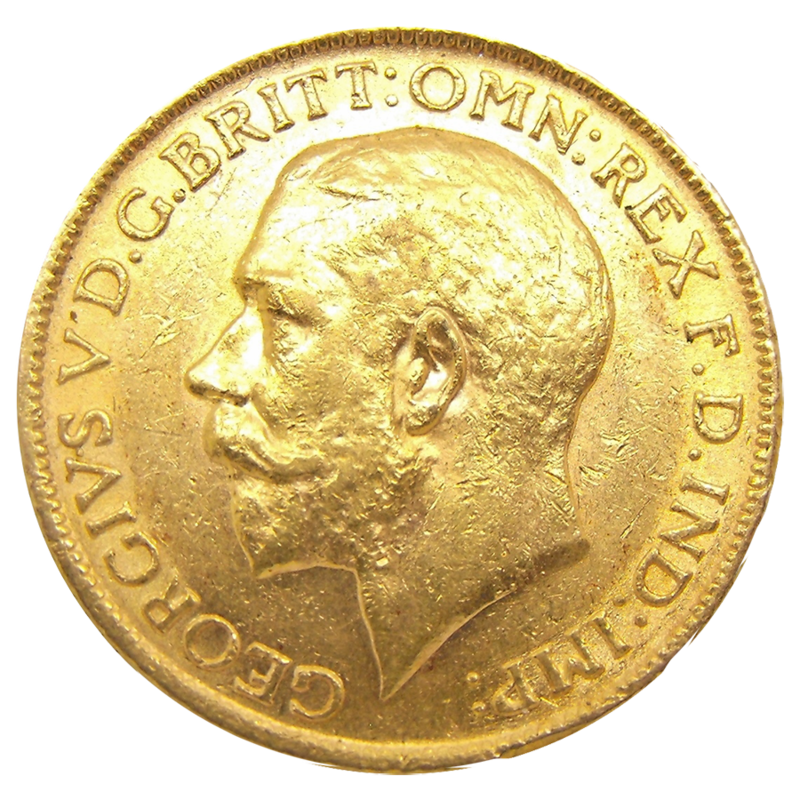 Therefore, George V Sovereigns were minted at the London Mint and 6 other locations. Melbourne, Sydney, Perth, Canada, India and South Africa. 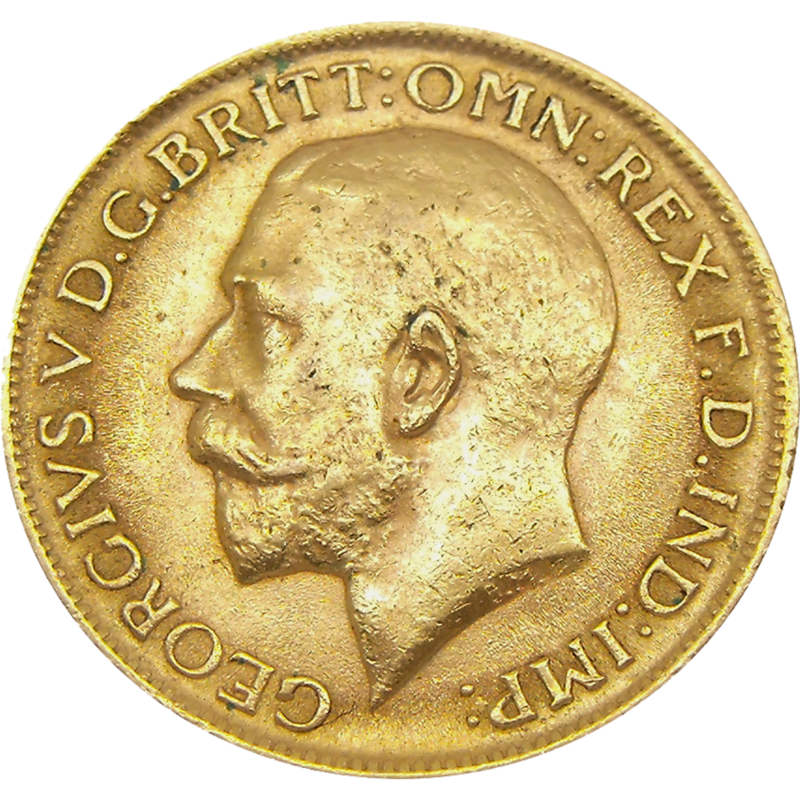 George V is the only British monarch to have issued sovereigns at London and all six Royal Mint branches that are overseas. All sovereigns are identical with the exception of the small mint mark to identify where they were struck. The mint mark can be round on the reverse and is located under the George and the Dragon. The beginning of the First World War effectively marked the end of the sovereign as a coin in daily circulation. 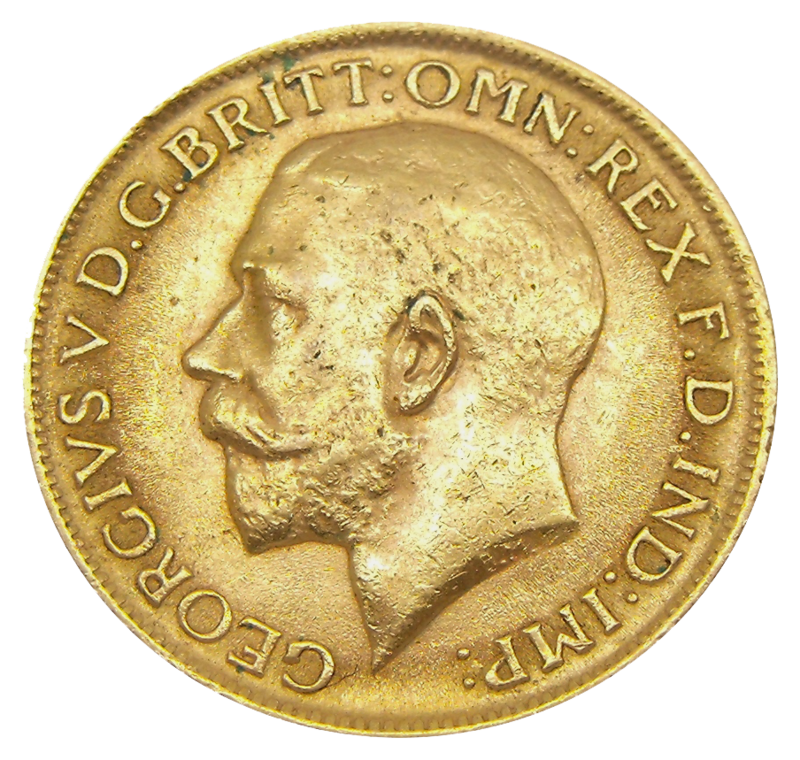 After 1917 sovereigns featuring George V were not produced in London, with exception to 1925. These coins were produced to replace stocks of worn and lightweight coins.